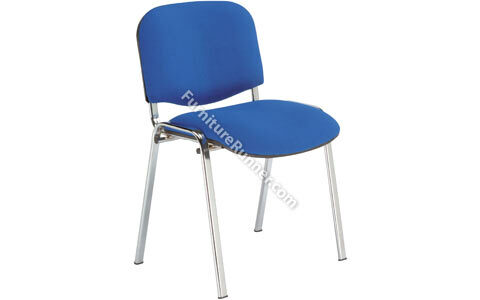 The Trexus Chrome Stacking Chair is a distinctive upholstered chair with a large comfortable shaped seat and back. Also features a stylish chrome frame. Optional extras include arms and a fold-down writing tablet. This chair is suitable for use in schools, reception areas, meeting and waiting rooms as well as temporary seating for events where storage space might be an issue.